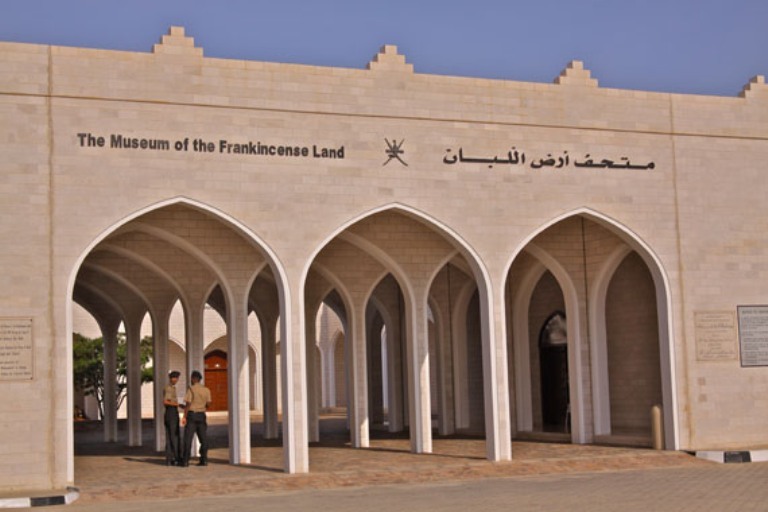 Proceed to visit “The Museum of the Frankincense Land”. Situated on Sultan Qaboos Street, the 'Land of Frankincense' museum is one of the cultural Gems of Salalah. The area has been inhabited since the 5th millennium BC and the city's re-establishment is dated between the 4th and 10th centuries AD. In the small museum you can learn more about the history and culture of Dhofar.Drive through lush green plantations of vegetables & fruits. Make a brief stop to taste a fresh coconut water drink at fruit stalls (at own cost) lining the streets within the periphery of the old Salalah town (Haffah). 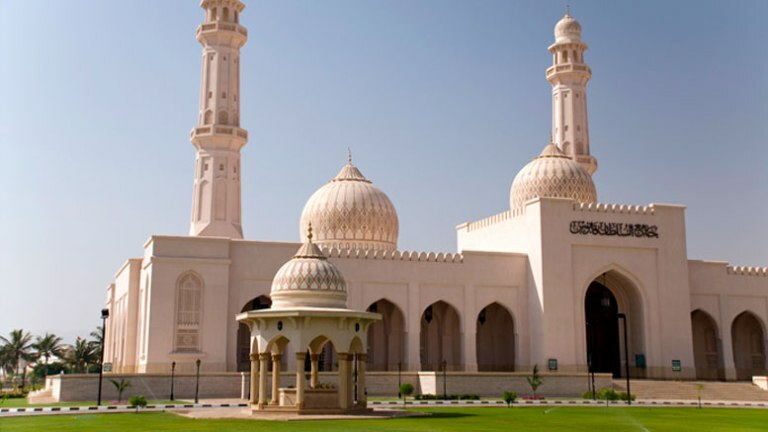 Make a Photo stop at the impressive Sultan Qaboos Mosque. The mosque was inaugurated in 2009. It has become a symbolic and landmark structure in Salalah. The 40,419 sq.m. Mosque is surrounded by a boundary wall with four entrances and can accommodate 3000 worshippers at a time. View the Official Palace of His Majesty the Sultan - Al Husn Palace & stroll through the old Haffah souq where you will be welcomed by the fragrant smell of frankincense. Besides frankincense products, you can also buy pretty Omani souvenirs, along with arts and crafts. The new souk gives you an insight into the modern Arab market. In the Gold Souk, sellers offer beautiful gold jewelry, which is typical for the region. After the tour, drive back to the port. The excursion begins with a visit to the old fishing village of Taqah, famous for the manufacture of Dried Sardines & its traditional & old Dhofari Houses. 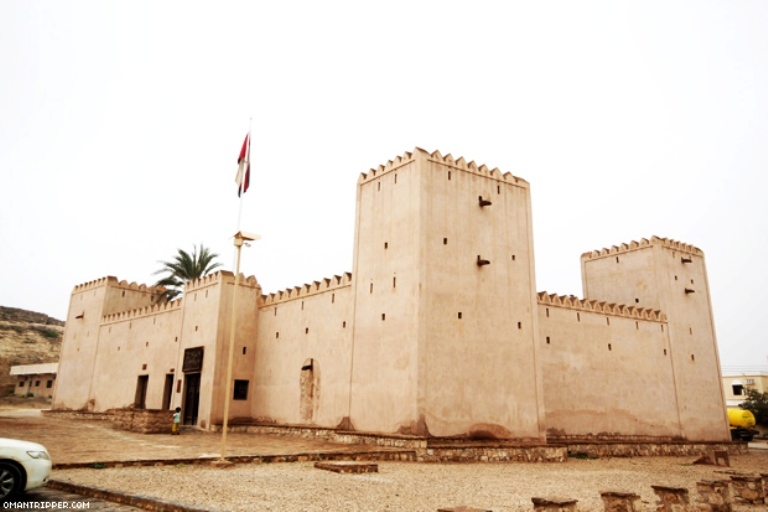 Visit the century old Taqah Castle, the former official residence of the Wali (Governor) of the region & obtain a glimpse into the rich history of the region. Continue onto the ancient ruins of the once famous city of Sumharam (Khor Rohri). The city was the easternmost outpost of the Hadramawt Kingdom on the ancient incense route between the Mediterranean Sea, Persian Gulf and India. 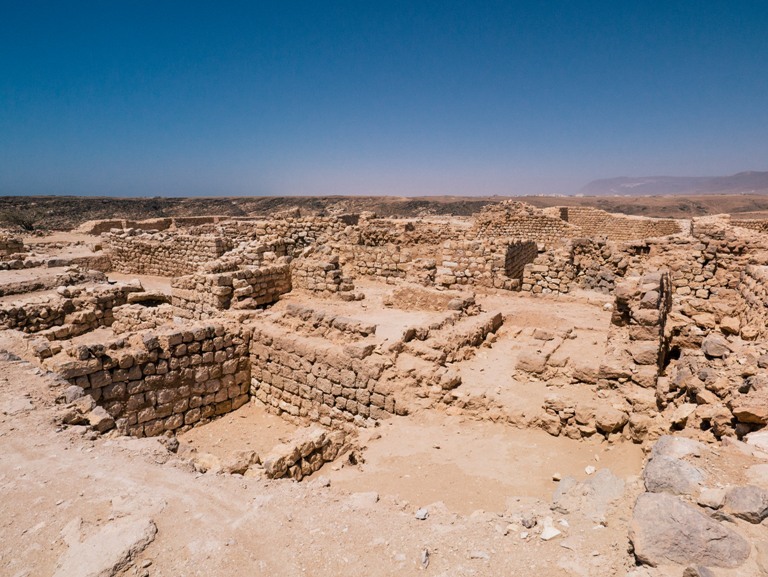 Khor Rori was an important port on the coast of Dhofar, and one of the major trading cities with frankincense, believed to have been the hub & harbor for the shipping of Frankincense (UNESCO World Heritage site). A picturesque drive then leads you to Mirbat, the ancient capital of Dhofar and the beginning of the ‘Frankincense trail’. Stroll through the streets lined with old Omani mud houses & visit the twin domed Bin Ali’s Tomb as a photo stop. A classic example of medieval architecture. On our way back to the port, explore the natural spring of Ayn Razat beautifully laid out amidst the tranquil lush mountains & nourished every day of the year by natural underground spring water. After the tour, drive back to the port. We start our half day exploration of Dhofar by driving towards the Qara mountains. On a road steadily winding up a steep incline, herds of Camels & Cattle are a common sight which gives a scenic view of a traditional Dhofari rural beauty. 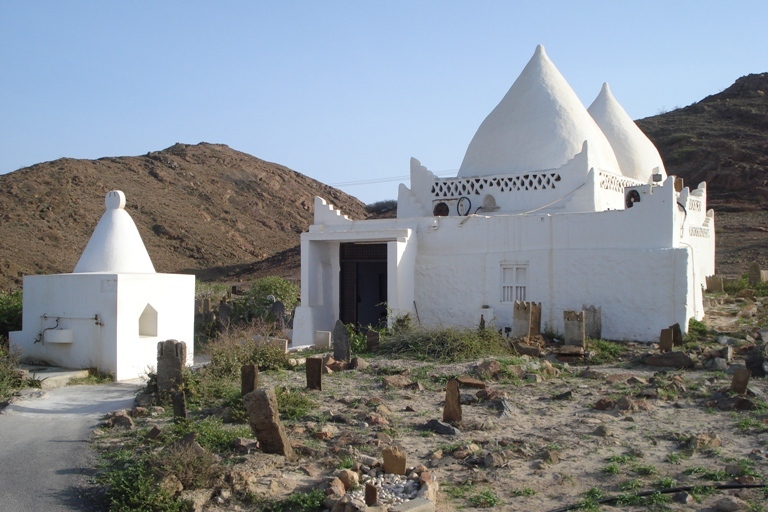 Visit the ancient tomb of Prophet Job situated in the scenic green mountains of the Salalah Plains. Experience the legendary story of Prophet Job and his devoutness. Proceed to the beach of Mughsail where the white sand touches the deep blue of the ocean & at high tide, where waves burst through the natural titanic Blow Holes, at the far end of the Rocky beach with a cave-like entrance. We thereafter continue along the Hairpin - bend road towards Western Border of Oman, with its breathtaking cliffs on either side to see the historical Frankincense trees growing in their natural habitat, deep down in the valleys, dotting the dry & craggy countryside. We take a short walk into the valleys to smell the Holy Incense amidst the scenic view of the region.On our return journey we make a photo stop at the lagoon at Mughsail where migratory birds – occasionally flamingos – are a common sight. After the tour, return to the port. The excursion begins in the morning with a visit to the old fishing village of Taqah, famous for the manufacture of Dried Sardines & its traditional & old Dhofari Houses. Visit the century old Taqah Castle, the former official residence of the Wali (Governor) of the region & obtain a glimpse into the rich history of the region. A picturesque drive then leads you to Mirbat, the ancient capital of Dhofar and the beginning of the ‘Frankincense trail’. Stroll through the streets lined with old Omani mud houses & visit the ‚twin-domed Bin Ali’s Tomb’ as a photo stop… a classic example of medieval architecture. On our way back to western Salalah, explore the natural spring of Ayn Razat, beautifully laid out amidst the tranquil lush mountains & nourished every day of the year by natural underground spring water. Thereafter we proceed to Qara Mountains to explore the western part of Salalah. On a road steadily winding up a steep incline, herds of Camels & Cattle are a common sight which gives a scenic view of a traditional Dhofari rural beauty. Visit the ancient tomb of Prophet Job situated in the scenic green mountains of the Salalah Plains. Experience the legendary story of Prophet Job and his devoutness. Proceed to the beach of Mughsail where the white sand touches the deep blue of the ocean & at high tide, where waves burst through the natural titanic Blow Holes, at the far end of the Rocky beach with a cave-like entrance. We thereafter continue along the Hair-pin bend road towards Western Border of Oman, with its breathtaking cliffs on either side, to see the historical Frankincense trees growing in their natural habitat, deep down in the valleys, dotting the dry & craggy countryside. We take a short walk into the valleys to smell the Holy Incense amidst the scenic view of the region. On our return journey we make a photo stop at the lagoon at Mughsail where migratory birds – occasionally flamingos – are a common sight. Return to the Port.